Giant (巨人) is an online game developer and operator in China. Giant focuses on massively multiplayer online role playing games (MMORPG) that are played through networked game servers, in which a number of players are able to simultaneously connect and interact. Giant Prepaid Card (CN) can be used to purchase various products and services from Giant website. Buy Giant Prepaid Card (CN) now! How to top up Giant Prepaid Card (CN)? 1. Visit Giant Payment Center HERE. 3. 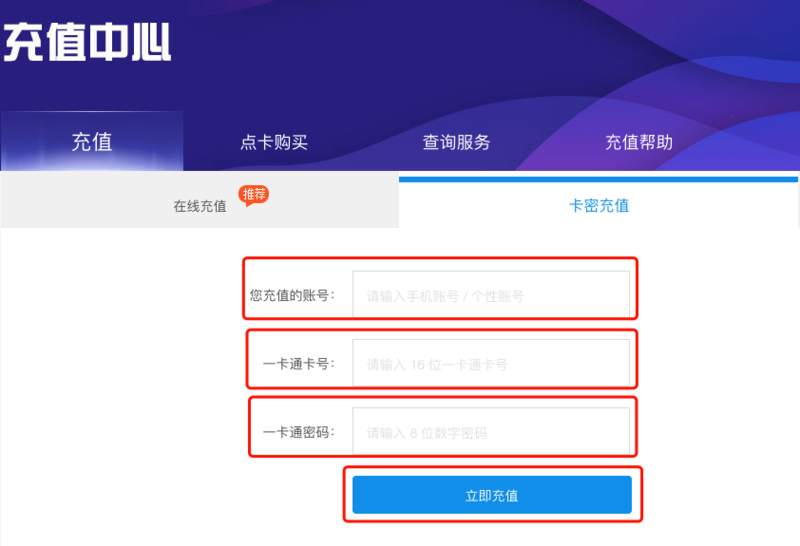 Input "您充值的账号" & "一卡通卡号" & "一卡通密码", clikc on "立即充值".